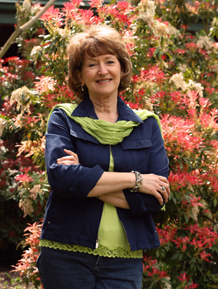 My healing journey started at birth spanning many decades of trial and error. I wound my way through a nonstop assortment of health challenges, until I reached a point of being sick and tired of being sick and tired. The irony is that I choose to enter a health care profession and began helping other people heal on a seemingly different plane. At the time, I did not see the correlation between my personal and professional lives in regard to health, nor did I see the health connection between the mouth and the rest of the physical body. I also held a subconscious belief that health was controlled by the medical profession and their antibiotic wonder drugs were the key to overcoming physical unwellness. Consciously I had empathy and compassion for healing, but subconsciously I was so overwhelmed with my own unwellness that I didn’t have the strength to work with other people’s unhealthy bodies. I thought my mouth was the healthiest part of my physical being so I choose dental hygiene over nursing thinking I would be immersed in helping people stay healthy rather than helping them heal their unwellness. I didn’t get the connection but I was about to learn how the universe works in mysterious ways to achieve a goal. I was born a healer, and my first order of business was to heal myself. Becoming a dental hygienists taught me the skills necessary to understand the scientific concept of proper body function. My own health challenges taught me a completely different aspect of wellness. Things aren’t always what they seem, things aren’t always textbook perfect and just because we don’t understand the mechanism, doesn’t mean it isn’t real. Healing happens on many different planes, some explainable and others not. On a personal level, I discovered the secret to my own physical health and wellness related to intestinal health which I have come to believe was a congenital challenge. Since I wasn’t absorbing properly, my physical health was fragile because I was malnourished. The more my physical health suffered, the more dependent I became on antibiotics, which further impacted my intestinal health by destroying the healthy populations of gut microbes. It became a downward spiral complicated by increased fatigue at a time in life when personal responsibility increased. The worse I felt, the harder it was to meet all my responsibilities, the more dependent I became on packaged, prepared, and fast foods, which fueled the fires of this downward spiral. Unfortunately, my overall unwellness and fatigue defied identification. The fact that neither myself nor my medical doctors felt my diet was lacking, shows how little value is placed on the dietary effects of health. In my exhaustion, the medical solution seemed to be that I just needed to push myself harder and get more exercise! When that failed to achieve the desired effect, the next solution was anti-depressants. The root of my problem was uncovered by a new medical concept called functional medicine where functional testing is done to determine the level of function an organ or system has, prior to illness and as a way of supplying nutritional adjustment keyed towards the weak system. My problem wasn’t lack of exercise or depression, it was malnourishment based upon intestinal absorption. I learned how getting the proper nutrition into the body enabled the body to heal itself on many different levels. The better I fed myself, the better I felt, the more I was able to move, and the happier I was all around. Medically, I was like a square peg being forced to fit into a round hole, without consideration to my own personal uniqueness. It was extremely frustrating on a personal level, yet on a professional level, I did the same thing with all my patients. I tried to pigeon hole everyone into the same mold which is how the educational system teaches. The medical doctors and I were all taught the same way. We were both trying to force the experience to fit the textbook knowledge. Instead of questioning why and seeking a different approach, we did what we had been taught and tried to force those unique square pegs into textbook round holes. As I experienced profound healing, I experimented in various alternative healing methodologies, all of which provided some benefit and collectively contributed to experiencing a level of health previously unknown to me. I was able to bring some of my new success back into my professional world and found it worked just as well for other people! Improving my health became a hobby, understanding why the improvement happened became an obsession. Twenty years of continued exploration, improvement and self-study brought me to enroll in the Institute for Integrative Nutrition where I found some wise individuals had already pieced together what I had been learning. I found validation that others were in need of understanding health more completely. I also found validation that my journey had been true, and I was delighted this knowledge was being taught to others so they didn’t have to spend a lifetime figuring it out. These experiences finally came full circle with my understanding of oral and physical health being one and the same. 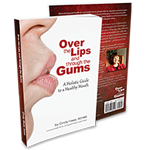 I was inspired to share this journey with others through my two books, Over the Lips and Through the Gums, and Food For Thought to help other people become more proactive in their health. Being abundantly healthy is a birthright, but not an entitlement. It requires learning to love yourself enough to become proactive in adopting a healthy lifestyle balancing the mind, body and spirit. Each journey begins with the first step, I invite you to learn from my journey so yours can be easier and faster.